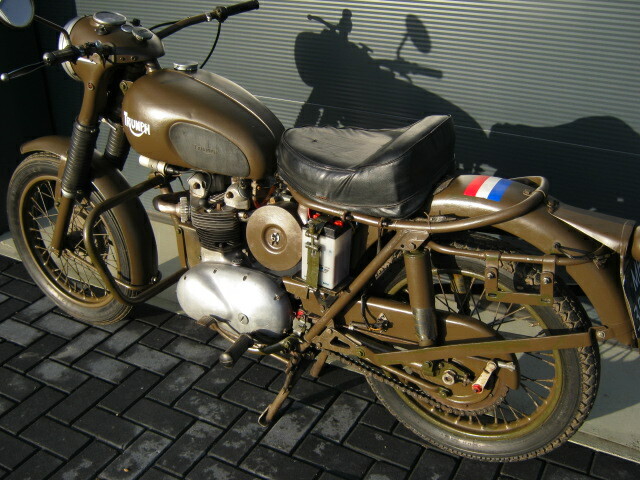 Original and unrestored ex-Dutch army 3TA. Is complete with the leather ordannaces side bags, Solex carburetter and army type rearlight. With Dutch registration. On the pictures it looks like being brown, but that's because of the light, in real it has the original green army colour.